What are the top landmarks in Ngorongoro Conservation Area? Explore the great outdoors at Lake Manyara National Park, a lovely green space in Lake Manyara National Park. While you're in the area, wander around the gardens. 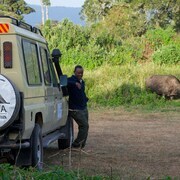 Commune with nature and explore the great outdoors at Lake Manyara during your travels in Lake Manyara National Park. While you're in the area, wander around the parks. Situated in Ngorongoro Conservation Area, this all-inclusive lodge is 6.4 mi (10.3 km) from Lake Magadi and 20.3 mi (32.7 km) from Karatu Playground. Situated in a national park, this tentalow is 10.1 mi (16.2 km) from Lake Magadi and 22.5 mi (36.2 km) from Karatu Playground. 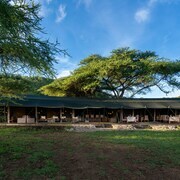 Situated in Ngorongoro Conservation Area, this lodge is 20.9 mi (33.6 km) from Lake Magadi. Situated in a national park, this tentalow is 23.9 mi (38.4 km) from Lake Magadi. 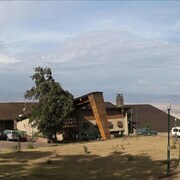 Situated in Ngorongoro Conservation Area, this lodge is 6.9 mi (11.2 km) from Lake Magadi and 20.1 mi (32.4 km) from Karatu Playground. 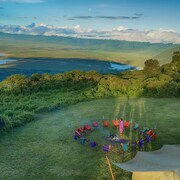 Situated in Ngorongoro Conservation Area, this tentalow is 13.5 mi (21.7 km) from Ndutu Lake and within 32 miles (52 km) of Lake Masek and Naabi Hill. 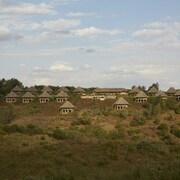 Situated in a rural location, this lodge is 9 mi (14.4 km) from Lake Magadi and 24.2 mi (38.9 km) from Karatu Playground. 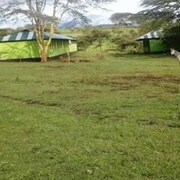 Situated in a rural location, this tentalow is 2 mi (3.2 km) from Lake Masek and 4.8 mi (7.8 km) from Ndutu Lake. Naabi Hill is 13.1 mi (21 km) away. Situated in a national park, this tentalow is 3.1 mi (5 km) from Lake Magadi and 32.2 mi (51.8 km) from Karatu Playground. 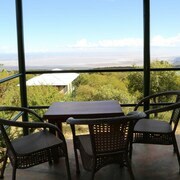 Situated in Ngorongoro Conservation Area, this bed & breakfast is 25.8 mi (41.5 km) from Lake Magadi. From the moment we passed thru the front gate, we were welcomed and pampered. Such a beautiful lodge, both the grounds and the rooms. The food was delicious. Definitely the place to stay in Karatu!! 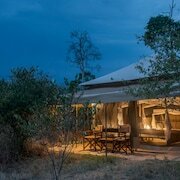 Africa Safari Glamping exceeded my expectations. 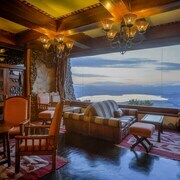 The staff provided a warm welcome and introduction to the property, followed by delicious meals and a relaxed atmosphere. The entire property was maintained well, and common areas were spotlessly clean. This was a delightful experience, and I would gladly stay here again. Explore Ngorongoro Conservation Area with Expedia's Travel Guides to find the best flights, cars, holiday packages and more!